Rachel Ross Rosenblatt | Littler Mendelson P.C. 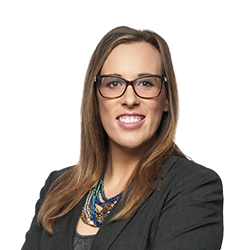 Rachel’s recent trial experience includes federal court jury trials involving wage and hour claims of employee exemption misclassification and arbitration agreements and multiple arbitrations alleging discrimination, retaliation, and harassment. In addition, Rachel frequently speaks on various hot topics, including accommodating transgender employees in the workplace, harassment, and social media. She was a member of the firm’s inaugural Associate Council and was the first associate hired in Littler’s Nashville office.